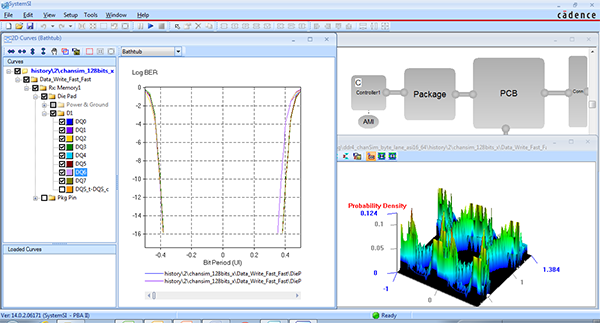 Traditional signal integrity analysis with ideal power and ground is not sufficient for today’s DDR and LPDDR designs. Cadence® Allegro® Sigrity™ Power-Aware SI Option analysis identifies problems that would go undetected with alternative tools. When your designs include high-speed memory interfaces, let Allegro Sigrity technology help you get it right the first time and speed your time to product creation. With memory interface voltages decreasing, speeds increasing, and timing budgets being squeezed, design qualification using the latest memory interfaces is no small challenge. Fortunately, the Cadence Sigrity team has risen to that challenge and can provide you with all the required technology to make sure your memory interface will work as desired the first time you bring up a prototype in the lab. Whether you create your own interconnect models or just connect the models of each component in the system together, the Allegro Sigrity Power-Aware SI solution is prepared to help you qualify your memory interface accurately and rapidly. 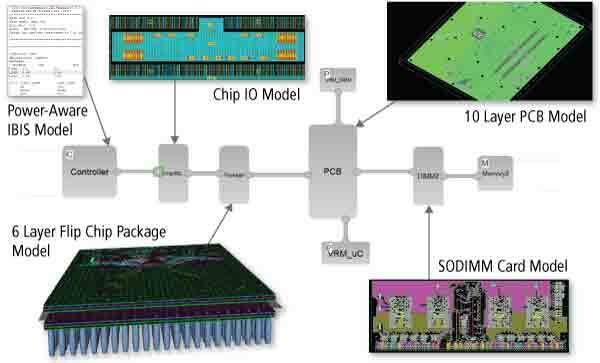 Each section of the topology (chip, package, and PCB) will contain signal, power, and ground connections and ensure that all the effects of simultaneous switching signals are simulated. Once you have all your simulation results collected, the reporting functions available will allow you to quickly determine if you have met all the compliance tests associated with the standards. You will see which memory signal is the worst case for each compliance test and how much (if any) margin you have. This includes the ability to predict bit error rate (BER) as required in the latest memory interface specifications. A single click on the HTML-based report will take you to the waveform measurements associated with the numbers seen in the report. With a clean compliance report, you can build your design with confidence knowing that your memory interface will meet the electrical compliance tests associated with your memory interface. That’s one less thing to worry about as you move towards final product creation.